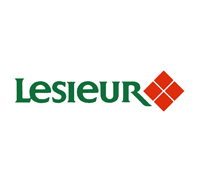 Lesieur is a French food company founded in 1908 and nowadays a major player in the production and marketing of edible oils and sauces. The products of this brand are marketed by the company of the same name, which belongs to Saipol group. The Saipol Lesieur group is controlled by Avril (formerly Sofiprotéol), the Financial Institution of the sector of vegetable oils and proteins, in partnership with the international group Bunge, the world leader in oilseed processing.